I was watching a clip from youtube working on my computer while Lil was playing with her Potato Heads in the floor. The speech that Lil gave me is one that happens in various forms pretty often and I think is adorable. 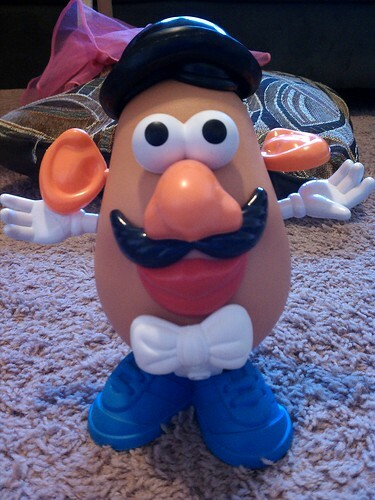 I think the bow tie was the perfect touch for that potato head. This entry was posted in Lily, Mobile randomness, Us and tagged Lil, Mobile randomness, Us.